An eye catching yellow leather and a dramatic steam shaped natural walnut outer frame round out the unique look of the Madison Accent Chair. The Madison is a definite feature enhancement to any room setting...bedrooms included. The yellow leather is a wonderful enhancement color to the tones in the natural walnut. Made using a rich white leather and a dramatic steam shaped natural walnut outer frame. The Madison is a definite feature enhancement to any room setting...bedrooms included. A rustic look, with refined quality and great comfort. The Dama bench ottoman can be used as unique seats for a dining room, as an end table, or as floating pieces in a living room that can double as additional seating when needed. The top features a gray leather padded seat. 100% made in Italy by Bellini Modern Living. The W. Schillig Stan Armless Chair. Clean lines and a beautiful polished steel frame come together to make this wonderfully comfortable chair design. Available in a wide variety of wonderful premium quality top grain leathers. 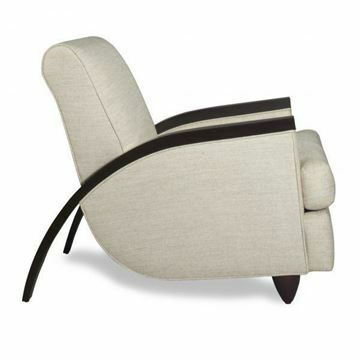 The W. Schillig Stan Arm Chair. Clean lines and a beautiful polished steel frame come together to make this wonderfully comfortable chair design. Available in a wide variety of wonderful premium quality top grain leathers. 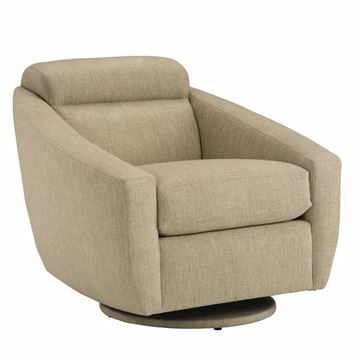 The W. Schillig Nikki Swivel Chair is a gracefully designed accent chair, perfectly suited for just about any room in you home. Customize it just right for you by using any of the wide variety of Schillig top grain leathers. 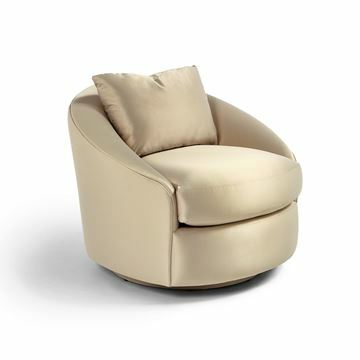 The Zoey Swivel Chair by Lazar. The Zoey is a low profile circular design. The seat and back cushions are not affixed to the frame, making rotating easy and extending the life of the cushion. 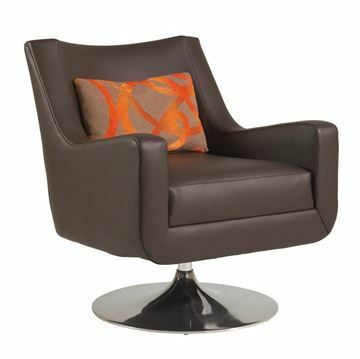 The Zoey comes with the addition of a return swivel mechanism, which returns the chair to center after each use. Please see more details below, and be sure to click on the tabs to see fabric choices. At Foster's we love helping in the design process. Please feel to give us a call if you'd like to get ideas for fabric selections or with any questions you may have. 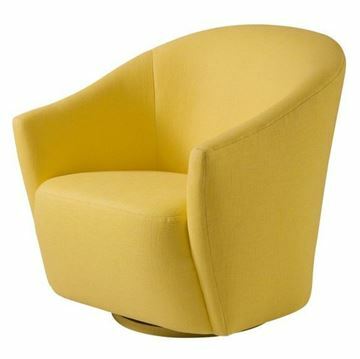 The Viva Swivel Chair by Lazar is a beautifully curved and impressive design. Opposing waves shape the arm and the shapes continue along the entire arm. The back rest provides relaxing comfort. Comes with a return swivel mechanism, which brings the chair back to center after each use. Please be sure to click on the various tabs below to see more information and to see fabric choices. 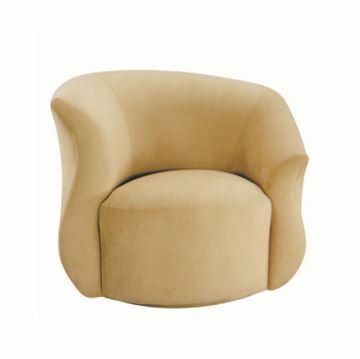 The Spiral Swivel Chair by Lazar features a dramatic flowing curved arm rest. The Spiral is available with the arm high on the left side, as well as high on the right side. Absolutely stunning when shown as a pair. Features a return swivel mechanism. Please be sure to click on the various tabs below to see more information and to see fabric choices. The Scroll Corkscrew Swivel Chairi by Lazar, showcasing a dramatic flowing curved arm rest. The scroll is available with the arm high on the left side, as well as high on the right side. Absolutely stunning when shown as a pair. Features a return swivel mechanism. Please be sure to click on the various tabs below to see more information and to see fabric choices. The Nemesis Swivel Chair by Lazar is a graceful design featuring unique track arms angled to fit the arm's natural resting position. The chair is perched atop a polished steel base, and features a return swivel mechanism. Comes with lumbar accent pillow. Please be sure to click on the various tabs below to see more information and to see fabric choices. At Foster's we love helping in the design process. 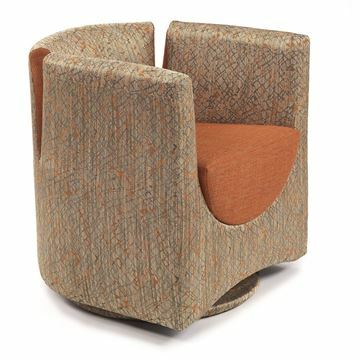 The Mystic Swivel Chair by Lazar. 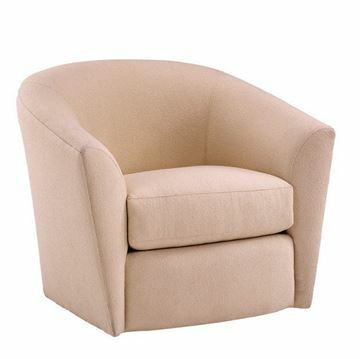 Features subtle tapering arms that narrow as they approach the chair base. 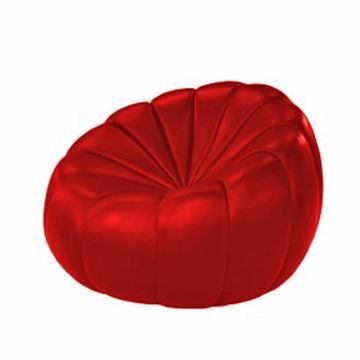 The plush seat cushion is not attached to the frame and can be rotated as needed. 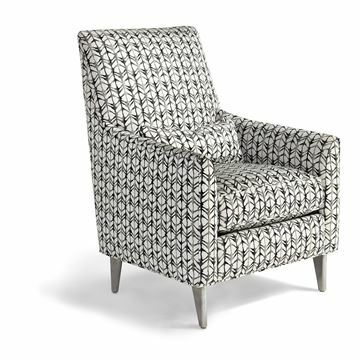 The Mystic is a full sized accent chair, with an ergonomically curved back rest. Comes standard with a 360 degree swivel mechanism. Please be sure to click on the various tabs below to see more information and to see fabric choices. At Foster's we love helping in the design process. 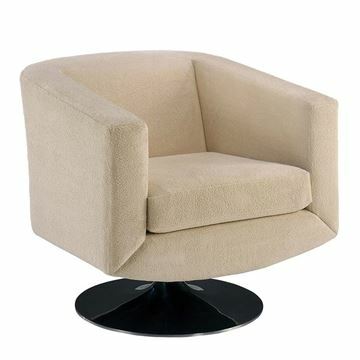 The LePouf Swivel Accent Chair by Lazar. 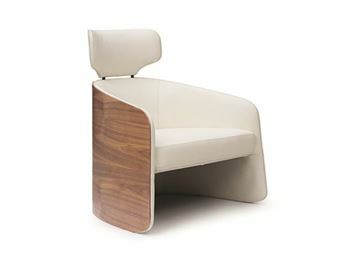 A playful new design, featuring faceted panels combined to make an amazingly comfortable chair to relax in. We frequently apply different panels of material on the same chair. Four LePouf Chairs arranged around a coffee table makes a truly unique conversation setting. Please give us a call if you'd like to explore this option more. And please be sure to click on the various tabs below to see more information and to see fabric choices. At Foster's we love helping in the design process. 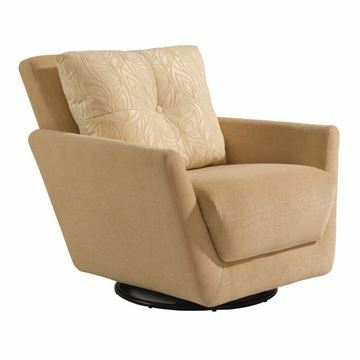 The Lark Swivel Glider Chair by Lazar. 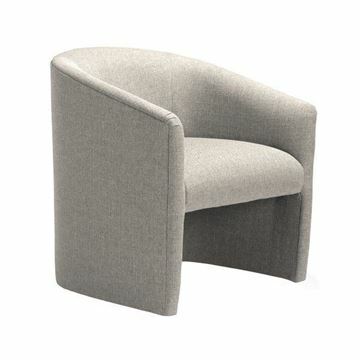 Beautiful sculpted arms, the Lark is a very comfortable chair to relax in. The chair is equipped with a swivel glider mechanism for added comfort and ease of use. Please be sure to click on the various tabs below to see more information and to see fabric choices. At Foster's we love helping in the design process. Please feel free to give us a call if you'd like to get ideas for fabric selections or with any questions you may have about this design. 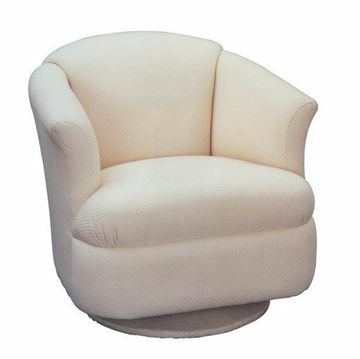 The Jupiter Swivel Glider chair is a plush sitting very comfortable chair. The back cushion can be made with our without a button tuft. Please be sure to click on the various tabs below to see more information and to see fabric choices. At Foster's we love helping in the design process. Please feel free to give us a call if you'd like to get ideas for fabric selections or with any questions you may have about this design. 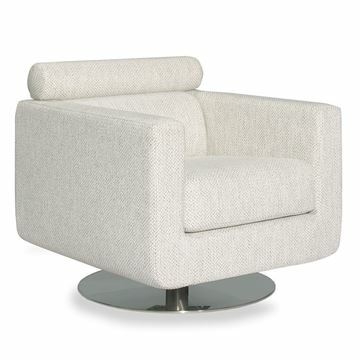 The Barletta Swivel Chair by Lazar is a beautiful contemporary design. It sits extremely plush, especially if Trillium is used for the seat cushion. The back rest is made truly unique with the attached neck roll accent. 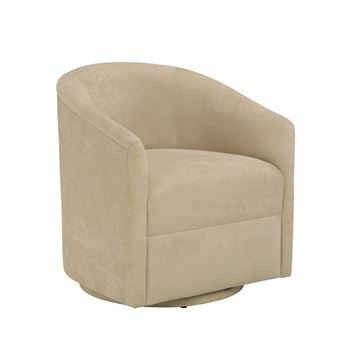 Also features a 360 degree swivel, making it a perfect accent chair in any room. The base for the chair is brushed steel. Please be sure to click on the various tabs to see fabric choices. At Foster's we love helping in the design process. Please feel free to give us a call if you'd like to get ideas for fabric selections or with any questions you may have about this design. 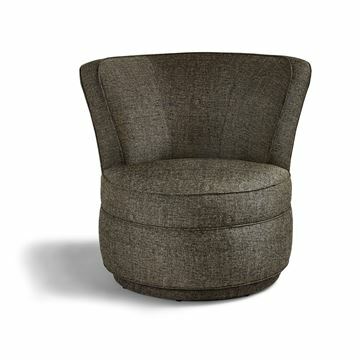 The Cortland Swivel Accent Chair by Lazar. 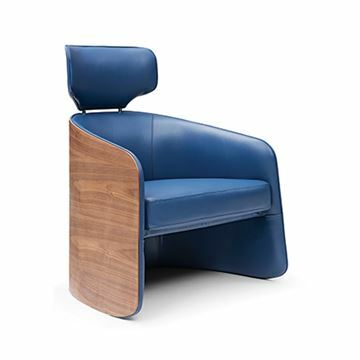 The basis for the design is a curved back that gently hugs you when you sit in it. Available with or without tufting on the inside back. Also features a 360 degree swivel. A perfect accent chair in any room, but it's particularly wonderful as a pair of chairs facing any curved sofa or sectional design. Please be sure to click on the various tabs to see fabric choices. At Foster's we love helping in the design process. Please feel free to give us a call if you'd like to get ideas for fabric selections or with any questions you may have about this design. 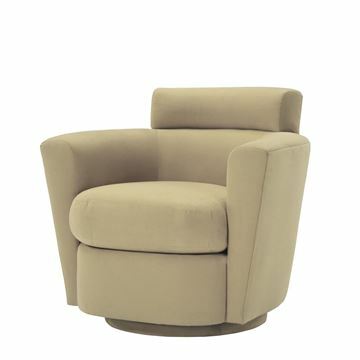 The Classic Barrel Swivel Chair by Lazar. A stylish and utilitarian design, featuring a very comfortable seat cushion and ergonomically embracing rounded back. It can be used as an accent chair, a dining chair, or game chair. Customers continually comment at the comfort this chair provides. There are many fabric choices. Please see more details below. Please be sure to click on the various tabs to see fabric choices. At Foster's we love helping in the design process. Please feel free to give us a call if you'd like to get ideas for fabric selections or with any questions you may have about this design. 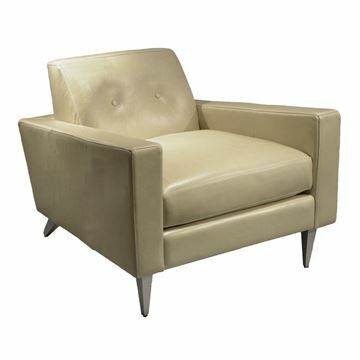 The Blade Accent Chair by Lazar is a very comfortable high back design, with comfortable padded track arms. It comes standard with a lumbar accent pillow. The legs are available in different finishes, and there are many fabric choices. Please see more details below. Please be sure to click on the various tabs to see fabric choices and wood finishes. At Foster's we love helping in the design process. Please feel to give us a call if you'd like to get ideas for fabric selections or with any questions you may have about this design. 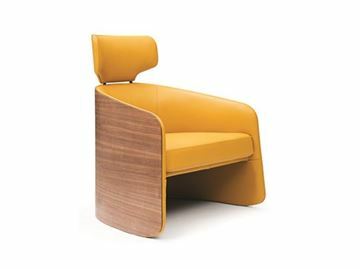 The Ava Chair by Lazar. A beautiful and extremely comfortable mid-century modern design. 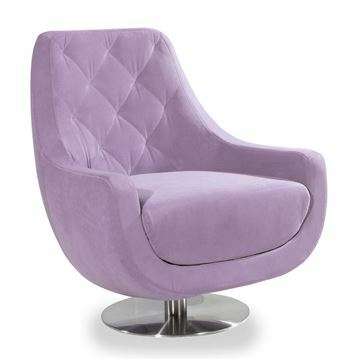 The Ava chair features a tufted seat cushion and back cushions. Four solid wood legs slightly flare out for a soft appearance. There are several finishes for the wood legs, and many fabric choices. Please see more details below, and be sure to click on the tabs to see fabric choices, wood finishes, and cushion filler choices. At Foster's, we love helping in the design process. Please feel to give us a call if you'd like to get ideas for fabric selections or with any questions you may have about this design. The Clarice Chair by Lazar. 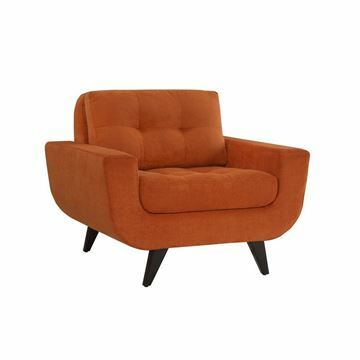 A classic mid-century modern look, and has a very plush comfortable sit. Shown with Metal Legs. Includes one accent pillow. The Clarice is great in an inviting formal or casual room setting. There are several custom options available, including a wide selection of different fabrics, and several wood finishes for the legs. Enjoy creating a look all your own, or call our design staff and we'll enjoy working with you to create the look you envision. Please scroll down to see more details, and click on Lazar Fabric Choices tab to view actual fabric swatches. The Flamingo Chair by Lazar. 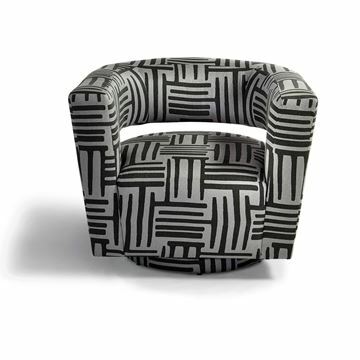 Great to use as a single chair anchoring a corer of a room, or as a pair of accent chairs in a conversation setting. Graceful curves and a very unique back cushion are hilights to this beautiful design. The overall look is well balanced with straightforward slim arms, giving a balanced and refined look. We really love how the front polished steel legs align with the front arms, and the back legs extend just past the frame. Pairs wonderfully with the matching Flamingo Sectional or Flamingo Sofa.